Want to get an insight into the lives of the creators and performers? Surviving Spike Here is how the Theatre Royal Windsor billed this new play: Surviving Spike is an intimate glance into the personal life of Spike Milligan by Norma Farnes - his agent, manager and confidante for 36 years - and the only person who ever really knew him. Encompassing the surreal comedy for which he was renowned, Spike's extraordinary life is seen through Norma's eyes as this play reveals the tormented character that hid behind the public façade. This brand new production is written by Richard Harris - best known for his classic theatre comedy hits Outside Edge, Stepping Out, Party Piece and The Last Laugh, as well as his numerous award-winning TV series including Shoestring, A Touch of Frost and The Last Detective. Starring as Spike Milligan and making his dramatic stage debut - Michael Barrymore, one of this country's biggest ever light entertainment stars (Barrymore, Strike It Lucky, My Kind Of People, Kids Say The Funniest Things). He will take you on an hilarious and emotional journey as the legendary comedian, writer, musician, poet, playwright and creator of The Goon Show. Joining him in an all star cast will be Jill Halfpenny (Eastenders, Waterloo Road and winner of the BBC's Strictly Come Dancing) who will play the role of Norma Farnes. More specific details from their web site. It was staged in London from mid-February 2005 at the New Ambassadors Theatre. Originally listed as running from 24th February until 4th June - it finished early on 19th March. "The Life and Death of Peter Sellers" is the title of a film released in 2004. Starring Geoffrey Rush in the title role, this film portrays a view of Peter Sellers as a tortured individual. Some interviews have suggested that the film is overly harsh - but it does seem to reflect many of the tales in the various biographies. It was made to be first shown on TV in America and reached UK cinemas in late 2004 following a run in Australia. It was released on DVD in April 2005. The information below comes from a variety of sources. 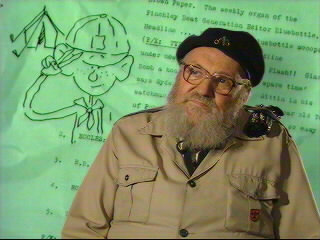 Namely: Re-reading old script books, The Goon Show Companion by Roger Wilmut, the catalogue from the US Goon Show Preservation Society and listening to compilations of CDs, records and tapes. Some scripts are also here - gleaned from various sources over the years - a few of which I have been through and modified to include what I think I heard. If you have any others please let me know. Where different sources have shown different titles for shows then they are (generally) all shown. I hope that you find this useful, but more important is that you enjoy (or learn to enjoy) the fun within. If you have been making your own listening easier by copying your purchased collection of tapes and CDs to computer playable files then you could copy this page and point the links to your own disk. (look for "file://" in the raw HTML file - remember that spaces in file names should go in as %20 (etc.)). 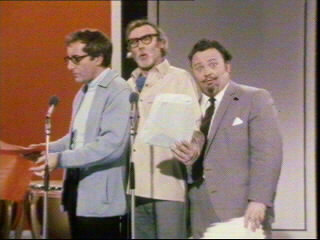 Sadly the primary performers are now dead (Peter Sellers in 1980, Michael Bentine in 1996, Harry Secombe in 2001 and Spike Milligan in 2002) but the archives are full of their material and it is often re-broadcast. Below you can find a section that updates automatically to show when "Goons" are on UK TV or radio - thanks to Digiguide. Still going strong - I think - is the chap (Ruxton Hayward) who was perhaps the inspiration for Bluebottle. See the photo below from BBC Spike Night. At the foot of this page there are a few links - other fan sites, the Goons Online webring and some streaming Goon Shows. 17/03/53 Where do Socks Come From? 4/12/53 Alemain [The Flying Saucer Mystery]? 29/1/54 The History of Communications Alternative Recording C / I Orig Opening missing. 10/1/56 The Raid of the International Christmas Pudding [The Red Bladder] C Orig ?? ?Wrong show??? Double CD - ref: ZBBC 2014 CD. CD1 Complete show [recorded 30 April 1972] to celebrate 50 years of the BBC. 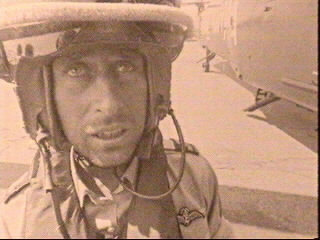 CD2 Documentary for 40th Anniversary of the Goons. CD has slightly more content than the original broadcast. 1957 Decca 78 Eeh! Ah! Oh! Ooh! The recording quality refers to shows where recordings are known to exist, but I might not have heard them myself. Naturally, these ratings are selective - but the D and I rating is pretty undeniable! If you know of better quality ones then please say where they are. Thanks to Tony Wills for the cover scans of the LPs above that I did not have myself. [beware that liner notes say that this is the show first broadcast 2/8/55. WRONG. 9/11--The Spy, or Who Is Pink Oboe? The books containing Goon Show scripts often contain lots of other interesting material - such as correspondance between the Goons, extracts from other works, photos from the time and line drawings of the characters. It is much more than the simple text scripts that you can find on this site. reprinted New York: St. Martins Press, 1973. 9/11-- Who Is Pink Oboe? SB06 The Goons: The Story, ed. by Norma Farnes. London: Virgin, 1997 (and 2001 - ISBN 0 7535 0529 0) - also includes script for BBC 50th Anniversary - "The Last Goon Show Of All"
Beginning with the Fifth Series in 1954, Goon Show studio sessions were recorded simultaneously by the Light Programme and Transcription Service departments. At LP the shows producer edited the recording for airplay a few days later (this version is abbreviated Orig here, so as not to be confused with commercial LP disc releases). At TS, a staff producer edited the recording for overseas use (TSO here, but the O is for original), shortening the shows up to two minutes (generally excising topical comments that might confuse and jokes that might offend). Then, in the 1960s, TS mounted an extensive reissue series (TSR here) called Pick of the Goons for overseas radio stations (including 26 shows remixed into pseudo-stereo [TSR-S here]thought by some to be a travesty in principle, and often irritating in practice. This is the series that has been played on many National Public Radio stations in the U.S., although confusion was caused when TS sent 20 shows from the TSO series to NPR labeled Pick of the Goons using numbers that would later be reused for their TS Reissue series. The TSR shows evidently were reedits of the original recordings, since in many cases lines are present that had been cut from the original TS release. In general, though, TS again was on the lookout for topical comments and "politically-incorrect" jokes. In recent years, demon audio engineer Ted Kendall has done near-perfect restorations of some shows, pulling together all extant sources to produce recordings that are sometimes even more complete than the original UK broadcast. These shows, some of which were broadcast on BBC and some released on CD, are marked Orig-TK here. Kate Halleron - moving to new management October 2003? This Goon Show Webring site owned by Paul Webster.